January 26th in promotion by Eric . This is a great primer on some basic points about Search Engine Optimization, aka “How to get found on search engines like Google or Bing” Makes the point that Bill Gate’s official blog, the one actually written by him, shows up sixth on Google and not at all on Bing when searching for “Bill Gates Blog”. This post helpfully shows Bill (and by extension, you!) how to fix this embarassing situation. 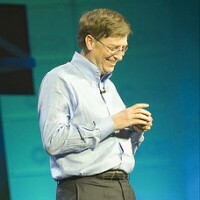 Check out the entire blog post on SEO for Bill Gates here. An introduction to telling important stories online. March 1st - Register online today!